Micro Tube/Plate Mixers There are 6 products. 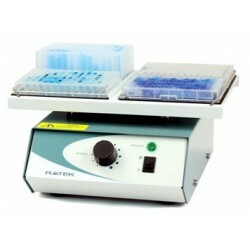 Plate Thermo–Shakers are designed for shaking and thermostating 1 – 4 standard 96 well microplates. 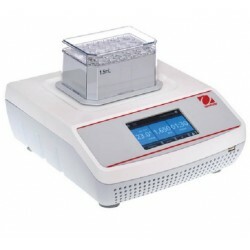 A multisystem principle, used in design of the Thermo Shaker, allows operating it as 3 independent devices:• Incubator.• Microplate shaker.• Thermo–Shaker. 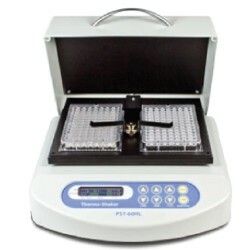 Biosans PST-60HL, PST-60HL-4 and PST-100HL Plate Thermo-Shakers Plate Thermo-Shakers are designed for shaking and thermostating 1 - 4 standard 96-well microplates. The MPS1 is a compact personal plate shaker that will hold up to 4 x 96 well plates whilst delivering a smooth repeatable speed control.Loading of plates is as simple as dropping them on the non-slip mat under the retaining spring, and you’re ready to shake. 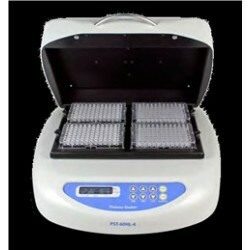 he IncuMix™ Incubator Shaker simultaneously heats and mixes small samples The IncuMix™ Incubator Shaker has interchangeable platforms for both microtubes and microplates. Both temperature and shaking speed are adjustable over a broad range. For static incubations, the shaker may be turned off.